Update your bathroom with a Fresca Magnifico 21" Glass Shelf, part FAC0145. The wall-mounted shelf is ideal for storing bathroom items like soap and shampoo in a bathtub or shower, or for displaying perfumes and other decorative items. 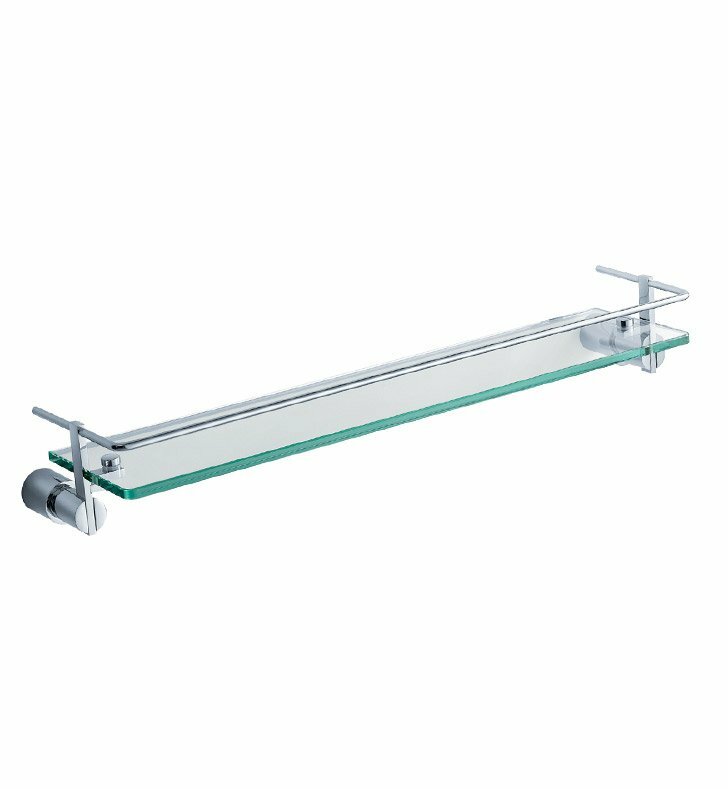 The thick bathroom glass shelf is stable, weight-bearing and easy to clean. Attractive rails keep items secure while adding a decorative touch, with a triple chrome finish that retains its good looks. The 21" brass glass shelf is the ideal size for almost any space.